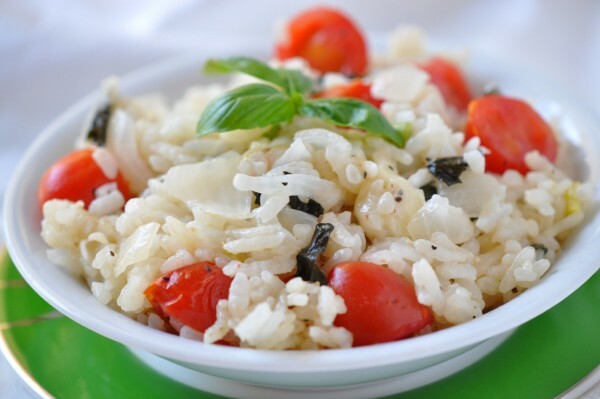 Terrific Tip: If feeling up to it, a heartier delicious option, after risotto is cooked add fresh mozzarella, tomatoes, fresh basil and even chicken. Turn into a main dish. Nutrition Nugget: Arborio rice is often used to make risotto as it undergoes less milling, keeping more of its starch content, making it creamy in texture.